Players who choose to publish their scores are then entered into a weekly classification where the highest scorer gets to win tokens from the token sponsor, no doubt an innovative and fun way for crypto enthusiasts to earn tokens. 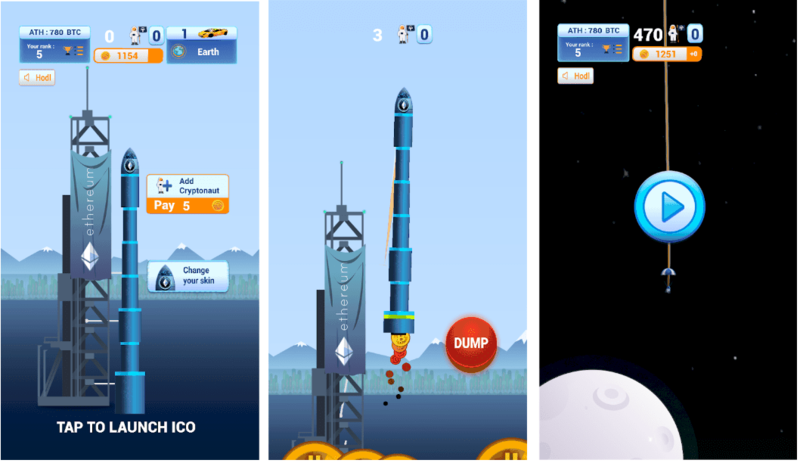 Each player can personalize the skin of his rocket with his favorite token. Currently, a selection of 3 different token-skins are available – SaTT, ETH, JET. Running also one of the most creative ICOs ever by launching SaTT token to manage and govern the world of digital advertising and launching our decentralized exchange!